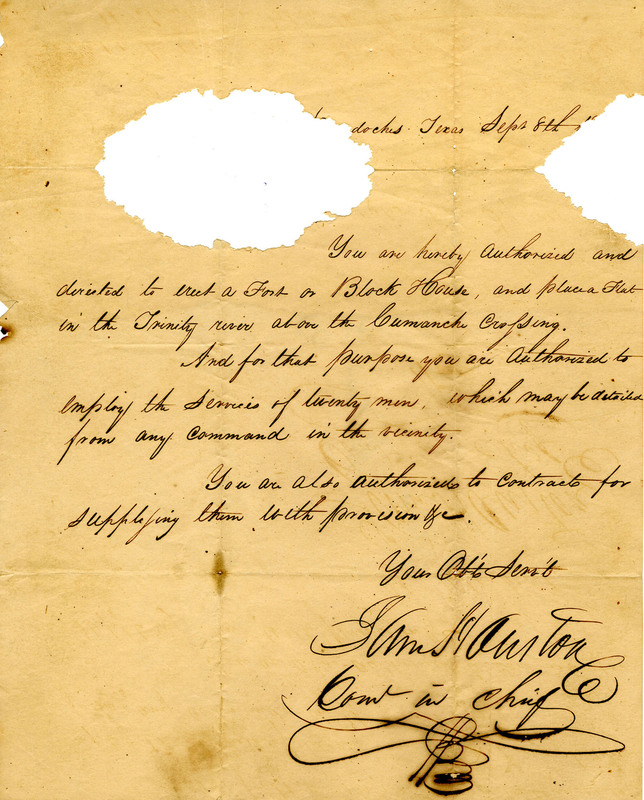 Thank you to Mr. Selden for contributing this collection to the BU Texas Collection, and thanks to The Texas Collection, for preserving and making this and other historical documents available to the public. My wife and I, and possibly our son, (all Baylor grads) are looking forward to attending Mr. Selden’s presentation on 18 February. 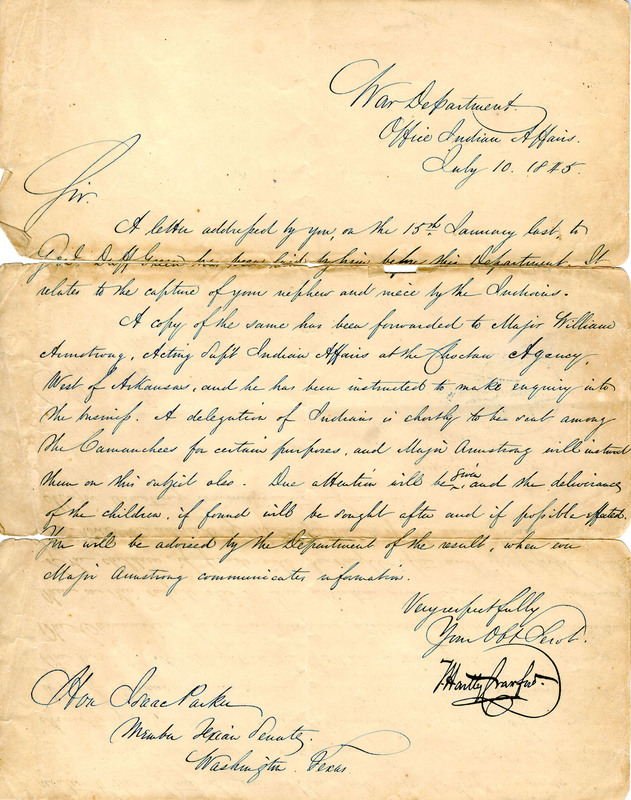 My wife and son are great-grandchildren of David Faulkenberry, one of the original families living at Fort Parker. 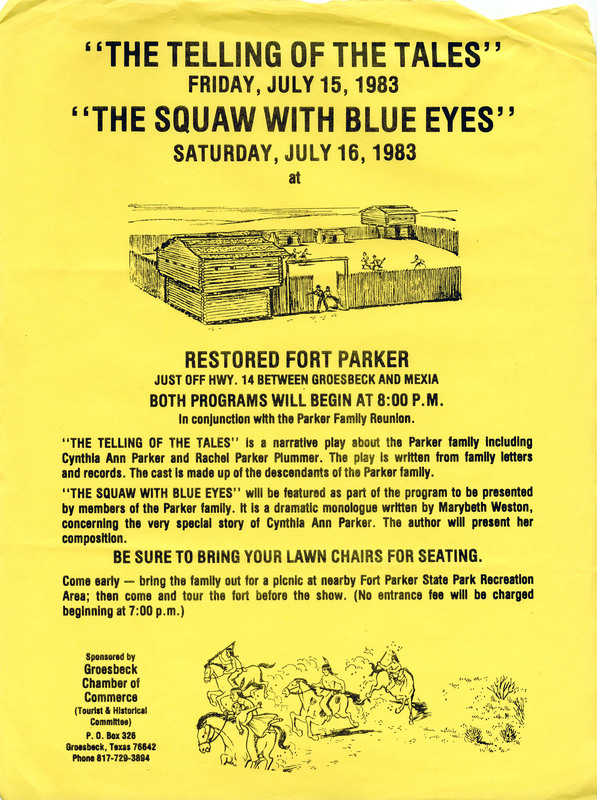 I have read several accounts that state that David Faulkenberry, and his son, were working in the fields at the time of the raid, and that David, and others returned during the raid to save Cynthia Ann Parker’s mother, and some of her siblings. My wife is also a great granddaughter of Brinkley Davis, who was also living nearby at the time of the raid. The 1830’s home of Brinkley Davis home is still standing near Groesbeck, and the local historical commission is trying to get it relocated and restored at the Fort Parker site. David Faulkenberry’s daughter married Brinkley Davis’ son. I will be very interested to see if Mr. Selden has any additional information on either of these two families, and look forward to the reception following his presentation to talk to him. Again thanks to Mr. Selden, and The Texas Collection.